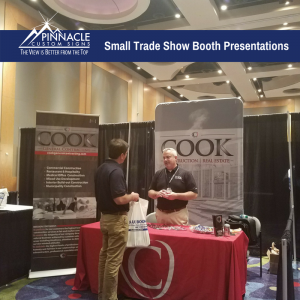 As 2018 rolls into high gear, many of our clients are preparing to roll out to trade shows across the country. Any of them would tell you that participating in these events can be both hectic and costly. This is especially true if your team has to travel a significant distance to attend the event. When you consider the cost of transportation, meals, signage and asking employees to do dual duty in their job schedule, it adds up quickly. However, company decision makers still make the time and invest the money to make these events a priority. Ever wonder why? 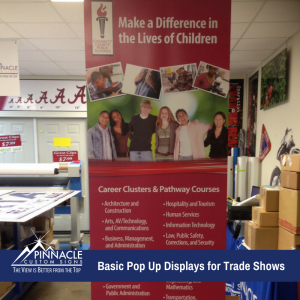 Here are 5 reasons to exhibit your business. Trade shows and exhibit events are where a large number of people come and visit the exhibit booths of yourself, your competitors and complementary businesses. Shows can be industry specific or can be a compilation of businesses that have common theme such as location or affiliation. However, each event has a common target attendance that can benefit your business. Such a large public showings at each trade show gives you an opportunity to meet with more buyers in one or two days than you would normally be able to meet with using any other form of marketing technique in a comparable time frame. Corporate marketing collateral such as brochures are indirect means of promotion since they use one way communication. These materials do not have the ability to explain, counter and sell your products or services like company employees. Potential customers generally have a variety of questions which only a representative of the business can provide the best answers. That is why you get more attention from face to face promotion than from an inanimate object such as a brochure or flyer. This also lets you introduce new products or services and strengthen relationships with existing customers face to face. 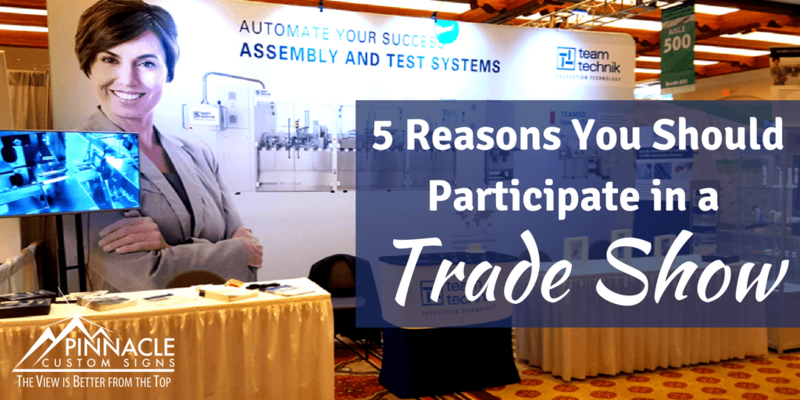 In most cases it does cost money to attend, but when you evaluate ratios analyzing money spent on trade shows to sales generated, it’s the most cost-effective form of marketing in the marketplace. 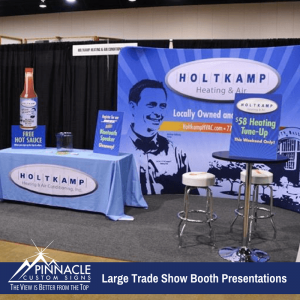 If you need to make a comparison, exhibiting your company in a trade show or exhibition is less expensive than a print ad, running radio ads, or TV commercials. Better than phone calls, emails, or flyers are trade shows. Exhibitor events generally limited categories if they are a mixed show; and this can be to your advantage as you will only be competing with about three other companies who sell comparable products or services. In other cases, you are participating with several like companies all targeting the general target market. You can either eliminate competition or get up close and personal to understand your competition better. When comparing this with the cost of competing with hundreds of similar companies in a magazine, phone book or the radio – it’s to your businesses advantage. Your customers have a better chance of comparing similar products of different companies, giving them a real time view of the pros and cons of each of them, in turn inducing them to buy one right there. However, the big challenge still remains to get them to your booth. Knowing your market and what events are the most effective for you to get in front of those clients is key. However, making sure you have an attractive booth that stands out helps to attract those attendees and give you the opportunity to shine. Make sure you know what booth options work best for your business to stand out in the crowd of exhibitors and attendees. If you need some inspiration, you can see a list of trade show items that excel in different settings from our blog. 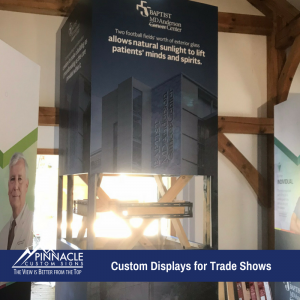 Pinnacle has created many fabulous trade show booths for our clients throughout the years and can assist you with anything from branded fidget spinners to digital displays. Just give us a call or email us for more information!